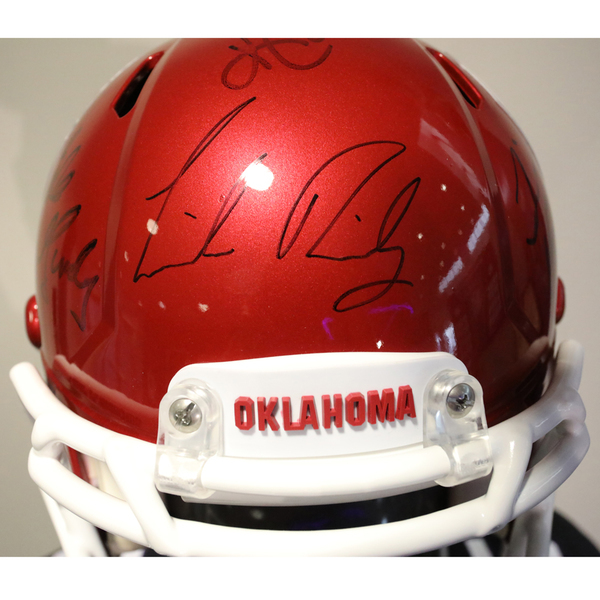 Win a team-issued football helmet autographed by Oklahoma Head Coach Lincoln Riley & his coaching staff! Shipping Information: Please make sure that your billing and shipping information is up-to-date prior to bidding. Some shipping services do not ship to P.O. Boxes, so be sure your preferred shipping address complies. Domestic rate S&H is $20 per Autographed Full-Size Football Helmet; no combined shipping is possible. Please allow 2-3 weeks for delivery after your payment has been received. 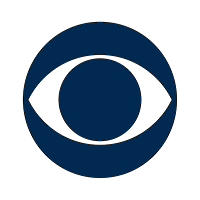 Payment Information: CBS Auctions accepts Visa, Mastercard, Discover, American Express, PayPal and Amazon Payment. We do not accept checks, money orders or any other payment methods. 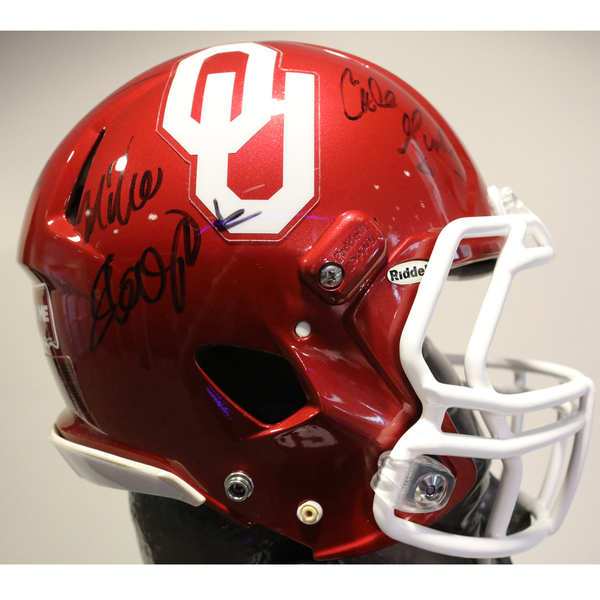 If you are the winning bidder, you will have 24 hours to manually checkout by using the "Checkout Now" button in your Winning Bid Email. When you manually checkout, you have the option to pay with your Saved Credit Card, Paypal, or Pay with Amazon. Otherwise, after 24 hours the auction system will automatically check you out using the billing and payment information provided when you first registered to bid. Note: Your item will be shipped to your BILLING address by default, unless you update your default shipping address in your My Account section. Please note that sales tax will be added to winning bids from AL, AZ, CA, CO, CT, DC, FL, GA, IA, ID, IL, IN, KS, KY, LA, MA, MD, MI, MN, MO, MS, NC, NM, NV, NY, OH, OK, PA, RI, SC, TN, TX, UT, VA, WA, WI, WV, and WY.